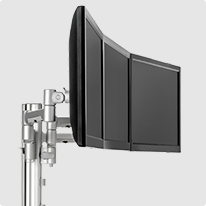 The AF-ATC-D is designed specifically for users who require a dual monitor configuration and will revolutionize any workspace. 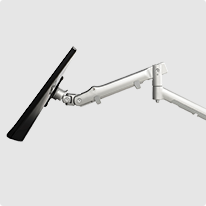 Monitors can be set to ideal heights and ball bearing arm joints ensure smooth, long-life operation. 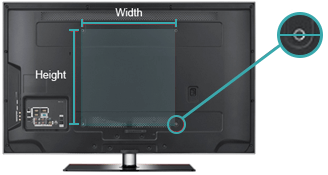 Optimal display positions allow brilliant flexibility and quick release/attachment mechanisms make installation and monitor-swapping simple and easy. 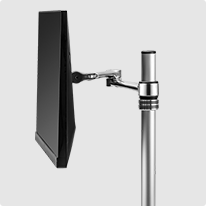 Advanced cable management ensures clean monitor and mount profiles for the ultimate style and function. This mount may be also used in a back-to-back configuration for single monitor applications when desk space is at a minimum.